Never before have we seen so much gold in an online slot before! Play more to find out just how much! If any of you out there have played any number of the Rainbow Riches slots on mega reel then you should already know what to expect from this one. 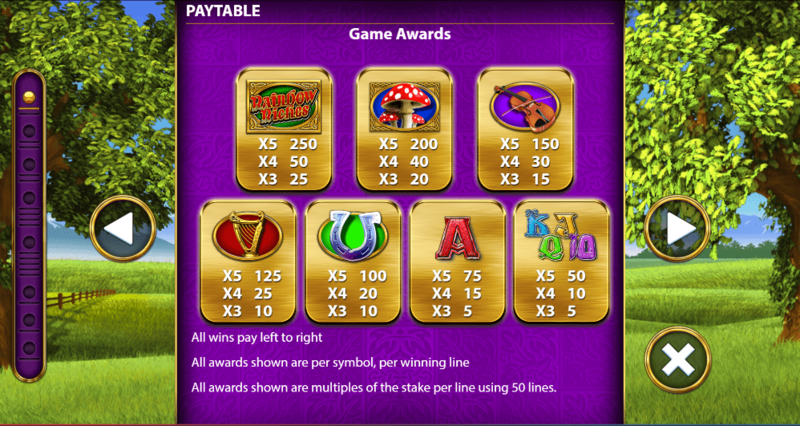 In this slot there is an emphasis on money, and making the most money possible. This slot from developer Barcrest is a 5 reel game that has around 50-200 pay-lines depending on the players own personal preference. This slot does nothing in half measures. What you see in this slot is but a taste of things to come, as you will find that there are various hidden features here for you to unlock in due time. If you happen to be someone who enjoys slots that let you go big or go home, then you will find that this slot has everything you could ever want and more. Be sure to read on to learn more about this slot! Developer Barcrest have a very long track record that has them producing some of the most played slots and latest casino games in the industry today. If you have heard of the Rainbow Riches franchise then you will understand the importance of these guys in the overall industry. Finding a developer the calibre of these guys can be a difficult task, especially when one considers the fact that not a lot of developers are given a chance to shine quite like Barcrest. If you are ever looking for slots that appear to take on a life of their own in terms of creativity, then be sure to check out any one of the many Barcrest slots there are out there! The first thing we can tell you about this slot is that it is mobile optimised, so you can expect there to be a lot of interesting developments there, especially if you are someone who enjoys spinning a few reels on your commute. In this slot there is once again an emphasis on the various different symbols that you see on the reels. There is a mixture of both low and high value symbols, symbols that are placed differently depending on how many games you’re currently spinning. In this slot there are actually two different wild symbols, both of which react differently depending on your matching habit. Silver pots will work in the ways that you would expect from traditional wilds, whereas gold pots will substitute all symbols on the reels including the scatter. The free spins bonus is where players will accumulate the higher scores possible. This bonus will add additional multipliers to scores which is incredibly useful to those who are wanting to make the most money possible with each spin they partake in. The drops of gold feature will see that more wild symbols find themselves on the reels. Be sure to play this slot out for yourself to find out how this feature works as we aren’t really big advocates on spoilers! 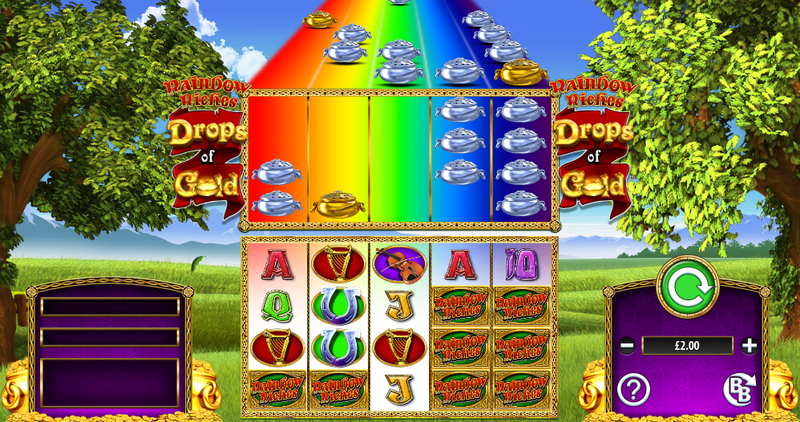 Rainbow Riches Drops of Gold is a very enjoyable slot for a lot of different reasons, the most common being the ability to actually win an awful lot with each spin. Never before has the action on a slot been this intense, what don’t believe us? Play it for yourself and find out more! Don't forget to play another of the Rainbow Riches series, Rainbow Riches Pick n Mix.